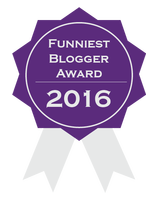 The criteria, in case you forgot is: Which blogger continually makes you laugh out loud? Has someone made you laugh so hard you cried? Maybe you snorted drink through your nose at one of their jokes. Who’s the funniest blogger of them all? I have absolutely no idea who nominated me, and in fact wasn’t aware of the Bloggers Bash before today, but whoever you are, here’s a great big hug and possibly a soppy, sloppy kiss too (depending on how closely you resemble Rafa). In Best Book Review, take a bow Cleo at Cleopatra Loves Books, Jacqui at JacquiWine’s Journal and Jo at mychestnutreadingtree – three excellent blogs whose posts I always enjoy! I can only vote for one though apparently… would this be a good time to mention my love of chocolate? The Best Pal award seems custom made for the wonderful Margot Kinberg at Confessions of a Mystery Novelist! Generous to bloggers and crime authors new and old, Margot is always there with the encouraging comment just when it’s needed – I’m sure many bloggers, including myself, only stuck it out through those early days of talking to a seeming void because Margot took the time to pop in, comment and introduce them to the wider book blogging community. So get on over there and get voting for these amazing people or for some of the many others on the nomination lists whom I don’t yet know, but whose blogs I’m looking forward to snooping round in the near future. But think carefully before you decide whether to vote for me… remember those sloppy wet kisses!!! Well, congratulation. I knew you would be famous. Felicitaciones bro!! Since I didn’t know any of the other bloggers (happened upon the contest via Sacha Black). The name of your blog caught my eye & I clicked in. Mad respect for your Book Reviews! You’re the clear choice for me so I’m voting for your blog. hope you win. Glad you’re enjoying it – its like a massive blog party! Oh my indeed!! I did smile when I came across so many good blogger friends on the list and of course we do have exceedingly good chocolate here in Jersey (I know it’s the same as the rest of the UK but hey!) Congratulations and I have cast my important votes tonight! Ooh, thank you! Get a towel ready – sloppy wet kiss on the way!! Woohoo! So richly deserved! I have laughed and learned so much from your wonderful blog, dear FF! Congrats! I must promptly leave now. That photo of Rafa has left me with the vapors! Congratulations! I think you should have been nominated for the Best Book Reviews too! But then how could I possibly choose between you and Cleo, both excellent book reviewers. I have cast my votes – good luck! Hmmm, I can make some educated guesses about who nominated who… but well done, well deserved – I love your rants when you don’t agree with all the hype about a book! The funny thing is, as I work my way from the top of my emails (in reverse chronological order), I voted already for this and never even noticed I was on the list. Thanks for making me aware of it. Clearly, I read things VERY carefully, don’t I? LOL! At least I didn’t vote for myself, right? Congratulations and lots of luck! I was thrilled to be nominated too (in a different category to you), I still feel quite speechless about it today. It’s a lovely feeling though, isn’t it? Oh this is wonderful FF. I am, of course, going to cast my vote for you as the Funniest because your misunderstanding of the glorious Goldfinch made me laugh SO much that I snorted. Many of your designedly humorous posts are nearly ALMOST as funny. Jumps on a passing train and speeds away. Well done. I think we should put the June date in our diaries, I really hope to get an invite to your celebratory party. Especially if Rafa attends. Oh, you’re very kind but no, no – my Goldfinch post was nowhere near as hysterical as yours! The deadpan way you pretended you liked all 700 pages of it was hilarious! No, no, you must make the journey to the bash – I will attend as your heavy – if there is the merest suspicion of another name being mentioned as the funniest, I will aim a perfectly spun hardback copy of The Goldfinch at the head of the person reading out ‘and the award goes to………..neatly knocking them out, and then quickly sprint (memo to self, wear running shoes and running gear, not 4 inch spikes and slithery narrow ball gown with fishtail train) up to the podium, snatching the card out of the hand of the comatose presenter, and bellow out……FICTION FAN!!!!!!!!!!!!! and if anyone DARES to look like they are going to protest, another hardback copy of The Goldfinch will be waved menacingly, corners ready to be slung, spun and make contact with the head of the offending protester. That sounds lovely! But I fear for you – lifting weights of that nature requires training! Start small… perhaps a novella or two, then up through the 250-page mid-20th C novel, then on to modern crime (500 pages) and move up gradually through the Russians and Dickens. Then, and only then, should you risk the bird book! And as a plus you’ll be able to get a job as Rafa’s body double!! Hahaha. Congrats, of course. So, I thought Rafa was a woman at first. *shakes head* Oh dear me. That is a girl’s pose, you must admit. Your blog definitely is one of the funniest! It makes me laugh, see. That poor dog, too, see. Thanks! So jealous – Rafa is all man and you know it! I’d bite the tongue off! Is Vin Diesel a girl then?!??? Richly deserved. I have dutifully voted your “slate” and I hope you all win your categories. If we’re talking funnies though, I think you should post the “Jeemy” mini-essay – I used it with adult literacy students as the perfect example of how to tell a story – a beginning, a middle, an end and a punchline. Anyway, congrats on your nomination. ‘Tis well deserved, I’d say! And how I love your final GIF — poor doggin looks pretty miserable, suffering sloppy kisses from kitty!! I know – aren’t they adorable? I’ve never had a cat that likes dogs sadly, ‘cos I wouldn’t mind getting a little, tiny puppy… but Tuppence would leave home! COngrats! Not above “buying” those votes, are you? I’m sure Trump could learn a thing or two from you… 😀 Now, please excuse me. I must go VOTE!! And only let eye candy like Rafa inside the gates?